1. My name is Maísa Ribeiro Mendonça. I'm 30 years old. 2. I'm brazilian and I live in São Paulo. 3. I'm designer, photographer and I'm working in an animation studio called Vetor Zero. 5. 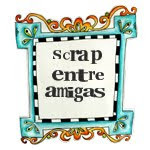 I love to work with photos, inks, illustrations, textures, and colors. 6. My life, my family, and friends are my inspirations. 7. I love to travel, and I would like to know many places in the wolrd! 10. I live in the quest for happiness, creativity, ideal body, perfect love, peace, etc ... I am very dreamy! I totally love the colors and the energy of this page! Felicidades pra você no Natal e Ano Novo, com muita saúde e paz. 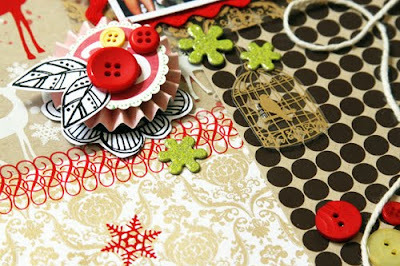 LOVE your layout...sooo many wonderful details! The colors rock this layout. Thank you for sharing! hi Maisa! your LO is so beautiful with a lot of detail! I like your style! 11. you have such a fun style! Maisa - I SO love your style! am now a follower! :) This layout has so much hambly yumminess, I just can't stop looking at it. Thanks for your facts and for your sympathic details. Neat layout! Love all the elements, especially that string that winds it's way through. Love your work! Oh, your layout is so festive and fun! I love it!! The layout is fun to look at. It carries a lot of energy. 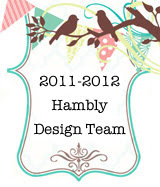 Have fun on the hambly team. like everything, colour are great !! your works are so imaginative and full of joy!! Nice to know more about you, and looks like your personality is really what we see in your pages ! looking forward to read the other portraits though... but definitely fan of your work ! wow wow wow fab layout, dunno what to look at first! LOVE it. Great LO! Gorgeous picture & I love the colour you used! Wow, that is beautiful!! Merry Christmas! Totally Awesome page! Love all the detail! I think we are kindred spirits, Maisa! I love doodling on my layouts/projects, and facts 9 and 10 could have been written by me, too! 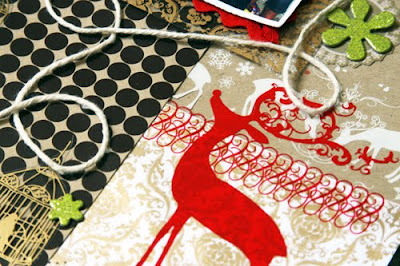 I really like that loopy yarn draped across your page, as well as the doodled leaves! WOW - so many little details to look at! Your LO in amazing! gorgeous LO. Love those reindeers. 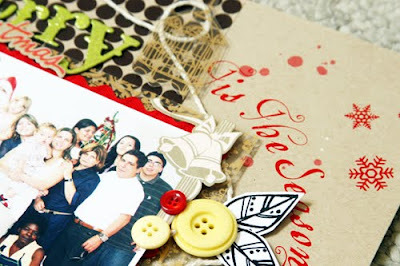 Beautiful page, very festive and the elements around the photo are awesome! Lovely page with so much texture and contrast! Congrats! Wow I LOVE your Christmas-y layout! It's beautiful! Love your 10 facts and also your project!!!! I love your color combinations and the pop of red. Thanks for sharing. Such a fun and happy Christmas page!! Striking layout!!! Love all of the different textures! Wow, now this is an amazing layout! Love the texture. Love your L/O. The colors are just perfect! TFS and for the inspiration. Your Christmas layout is gorgeous! 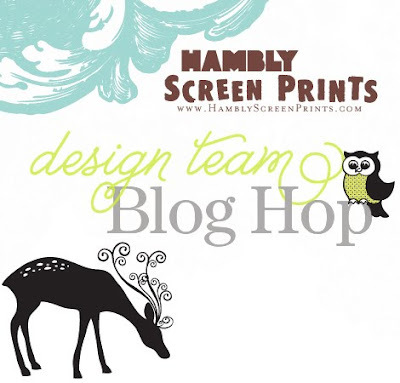 Love how you used the pretty Hambly deer! congrats and love the LO. I love the bright colors and patterns in your Christmas layout! I love the details and colors. Thanks for sharing! I love the color combination of your layout! Love your style!! !I follow you..........BEAUTIFUL!! !